FORMAT/INFO: The Boy Who Walked Too Far is 756 pages long, with named but un-numbered chapters. It is a third-person limited viewpoint set mostly through the eyes of Heironymous Xindii, Solomon Doomfinger, and Brick. 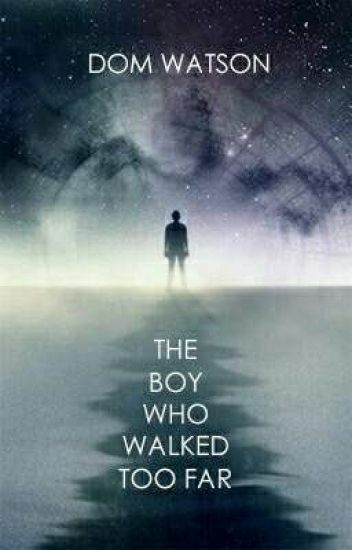 The Boy Who Walked Too Far is the first book in Dom Watson’s Xindii Chronicles and is available in e-book formats with potential physical publication in the future. OVERVIEW/ANALYSIS: Defining fantasy, as a genre of literature, is one of the trickiest things in this industry. There are so many sub-genres now, as well as decriers of genre who insist that everything should simply be called literature, that to enter a contest like the SFBPO is to hope that whoever reads your work will see it as you see it.Dom Watson claims that THE BOY WHO WALKED TOO FAR is a fantasy novel, an implicit fact in his entering this contest, but there might be some who would disagree. This novel is set millions of years into the future, the year 11,234,097 to be precise, and imagines a world in which humans have survived until the end of time. It is a book about dreams, and a “magic” system called Dreamurlurgy that is mastered by only a select handful of beings. There are different species of humans in this book and ancient, demonic gods - possibly even God him- or herself. There are DNA-engineered elephants in Watson’s vision, shrunk to trot around at peoples’ feet like dogs. This is a complicated novel that likely defies genre, and while some might not see it as the cut-and-dried sword-and-sorcery fantasy that we are used to when we browse our local library shelves, in some ways I believe that Dom Watson’s work embodies the spirit of fantasy as much if not more than most of what we know. This is a work of imagination, unlimited by time and space, and for that I think it is not only a worthy entry into this contest, but possibly one of the best. Xindii Heironymous is a Mapper - one of the best Mappers living or dead. He is able to infiltrate dreams, control them, and even trap people into their own Reveries - states of perpetual dream that they are unable to escape from unless the Mapper wills it. Xindii’s home is Testament, the last bastion at the edge of civilization. Time is ending, and Testament stands as the spot where living creatures will make their stand. But it is a city, and cities must function as they do, and so in Testament, Xindii serves not only as a professor in the most prestigious university in town, but as an investigator into potential dream-related crimes. When Godrich Felstrom is devoured by a supernatural horror in the middle of a bar, Xindii, along with his lifelong friend and half-ape hyper-genius Solomon Doomfinger, is called upon by the Auditors, a group of mathematical rulers who seek to record every living thing’s number into their grand algorhythm that allows them to predict the future, to figure out how and why Godrich was killed. If that paragraph feels like a very large and confusing info dump, welcome to THE BOY WHO WALKED TOO FAR. This book can be incredibly confusing, particularly at the onset. Watson is not shy about throwing his readers terms that he never explains, or only subtly explains via context clues and careful reading. One of the book’s many flaws, in fact, is this inability to convey what the hell is actually going on. This can be a strength, however, in the right hands, and Dom Watson very nearly succeeds in wielding those hands. What begins as a seemingly standard Doyle-esque murder mystery, albeit set far into the future, quickly evolves into the kind of adventure that would make a Doctor Who episode look boring. I would be remiss if I didn’t mention Xindii in the same sentence as a Doctor or a Sherlock Holmes or even a Gregory House because he is of this same ilk. His addiction to a violent and horrible drug, along with a dark and tortured past, are offset by a personality infectious in its zest for life and the ability to fling himself headlong into adventure. Xindii’s charm is balanced by Solomon Doomfinger’s austerity and poise, and while some might accuse Watson of taking too much formula from Doyle and Steven Moffat, these types of pairings work and to great effect in this author’s hands. Xindii and Doomfinger are but two in a wide cast of characters. They are joined by Brick, an inspector who brings the hard-boiled trope to life and whose skin is made of literal stone. Bliss, a seemingly innocuous woman who is actually the very first of her kind to exist, and a cast of villains that range from the blackest evil to the ones we feel can be saved if we just love them enough. Watson plays with morality in this novel like a philosopher who has studied it for decades, and no one comes in or out with a clean slate. The Boy Who Walked Too Far takes place almost entirely in the city of Testament - the last stand of humanity. It is here that all the races, human and sub-human alike have to attempt a life against the backdrop of civilization’s end. In humorous fashion, Watson is perpetually detailing aspects of this town that are both laughable and unbelievable. Starbucks is still around, for instance, and LED lights are still somehow in fashion. God, the ultimate creator of reality, has his own district and house that would make Doctor Strange jealous. But thankfully, Watson’s humor is ingrained in the very nature of his writing, and he manages to make this novel both deadly serious and out-loud funny at the same time. Few novels can even do one of these properly, but Watson weaves them in the most human and authentic way. It is frustrating that The Boy Who Walked Too Far is so riddled with errors. Some of these are commonplace mistakes, a plethora of sentence fragments or a name spelled differently in multiple places. Some are more egregious, like an entire scene replicated twice that spans several pages - a situation particularly frustrating in a novel about dreams and experimentation where one might not realize that they are reading a mistake until they have pored over it several times. CONCLUSION: The truth is, I’m not sure that this novel can win SFBPO with the sheer amount of editing that it needs, and this is a tragedy to me because I truly love this book. Whether or not Dom Watson makes it past the first round or into the finals is irrelevant to me (though certainly not to him!) because he has found himself at least one reader who will evangelize his flawed masterpiece to anyone who will listen. The Boy Who Walked Too Far is far and away my number one choice for advancement into the SFBPO semi-finals.